If you are a meatlover stuck in Barcelona, then we can warmly recommend a visit to Patagonia Beef & Wine in the centre of Barcelona. 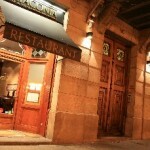 The restaurant is not far away from Plaza Catalunya and Passeig de Gracia (metrostops) so it will not take many minutes to walk from La Rambla to this restaurant. 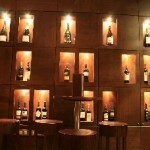 Here you can eat Argentinean steaks, and next to them you can off course enjoy high quality Spanish wines.